Happy Tuesday, Friends! I hope everyone had a happy Memorial Day. It's time to get back into the swing of things after a long weekend. Luckily I don't work Today, so I can catch up on a few things, run a few errands, and hopefully get a manicure. My cuticles definitely need it, and I'm getting tired of this turquoise gel polish. 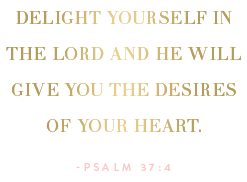 It was one of those colors I loved at first, but the longer I wore it, the less I liked it. On another note, have a look at my new favorite bracelet! 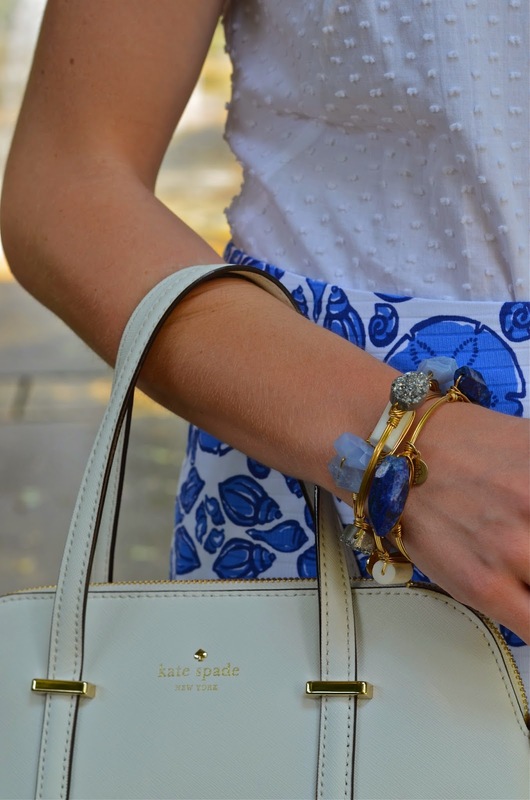 This anchor cuff may just be one of the cutest I've ever seen. 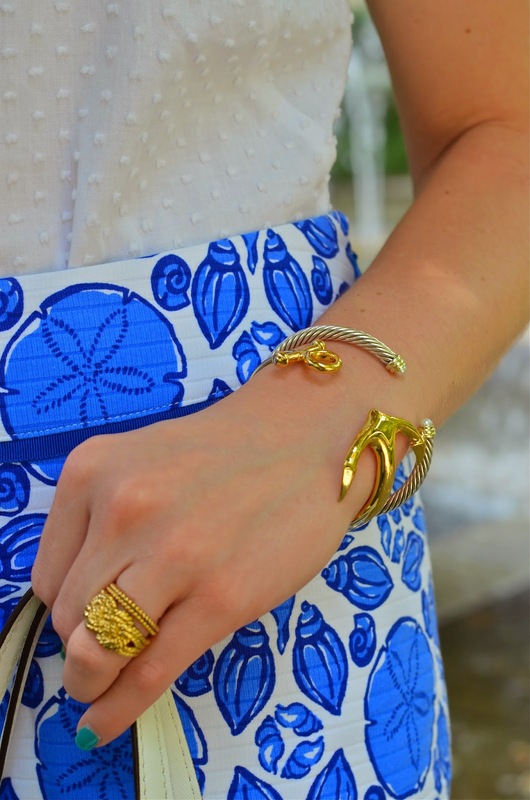 I am completely and totally in love with the nautical jewelry collection in C.Wonder right now. There were so many pieces I wanted to bring home. 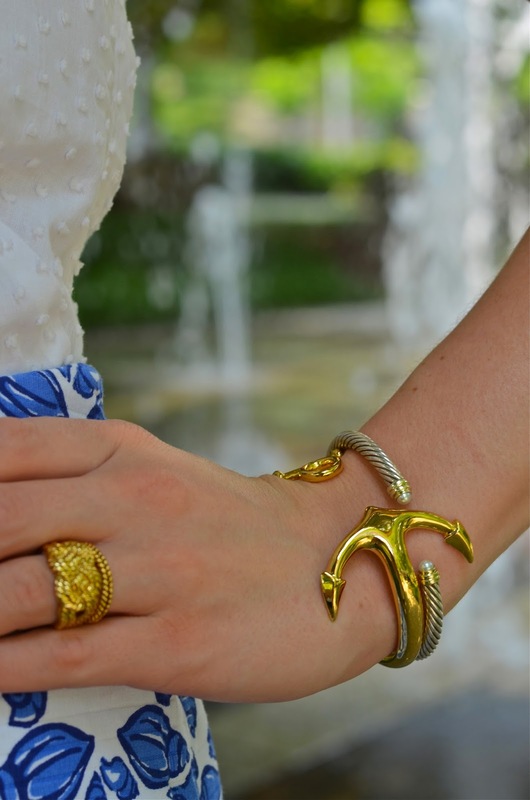 I chose this anchor bracelet and ring set and added a few (maybe more than a few) other pieces to my wish list. Thank goodness for the student discount :D Have a look at some of the pieces from this perfect nautical collection below. 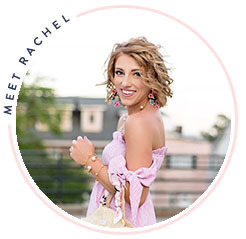 So cute, Rachel! 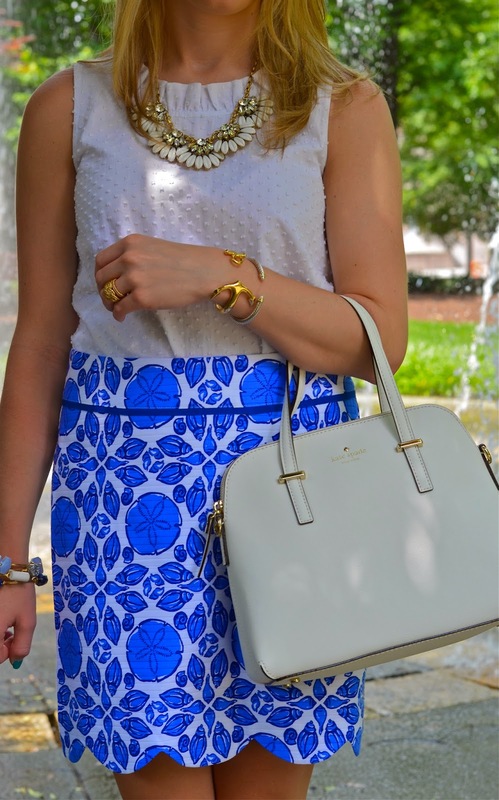 I'm in love with your skirt and necklace! Love your outfit, as always! 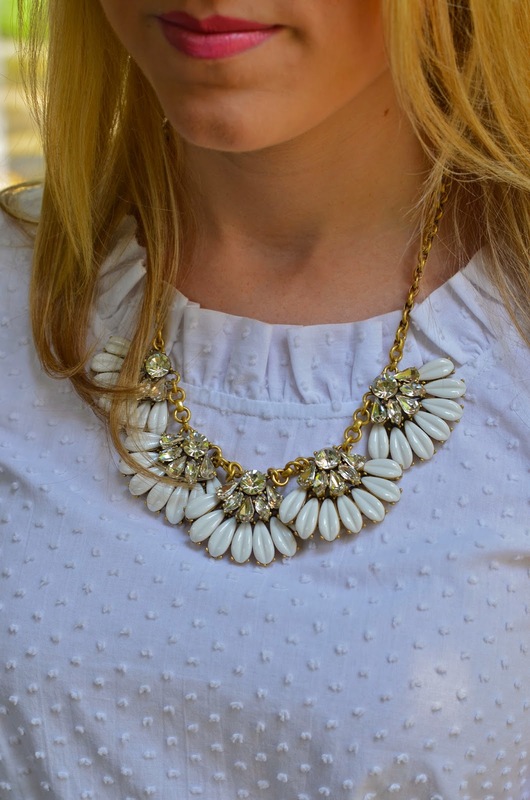 Especially the dotted swiss top & your white Jacks :) You could look cute in anything!